I love big bulky edges. Not only do they add a great deal of drama, they have more stretch and more weight making them perfect for a wide variety of projects. The first bulky edge we announced was the Woven Cast On. It uses two strands of yarn and a variation of the long-tail cast on for some wow factor. Next on our list of fantastic edges is the Knotted Bind Off. I’m declaring right up front that it’s my favorite to date. The edge is bulky and dramatic and stretchy. It’s also easy. We’re called Knitting Nuances because many of these ideas are simple tweaks to existing knitting techniques; not always, but usually. I like that because it means you have a running start at understanding the technique. changing how you move the working yarn between stitches. It’s all explained in this free 2-page Knotted Bind Off download that includes a step-by-step photo tutorial. Don’t let all the pictures worry you, the technique is super simple, I just got in the grove and showed each and every step. To download to your computer: Once the page opens in your browser, just hover the curser over center bottom of your screen and click print or download. But wait, there’s more because you may not always want to use 2 strands to bind off. This last minute Christmas gift for my niece is part of the Showy Garter collection. It needed a pretty edge and the 2-strand bind off was just too much in this Plymouth Baby Alpaca Grande. Working the above bind off with just 1-strand did not work, the edge was sloppy, so I kept playing around until it worked. It’s also shown in the top photo. I think this version of the bind off looks better when worked on a wrong side row so give it a try. 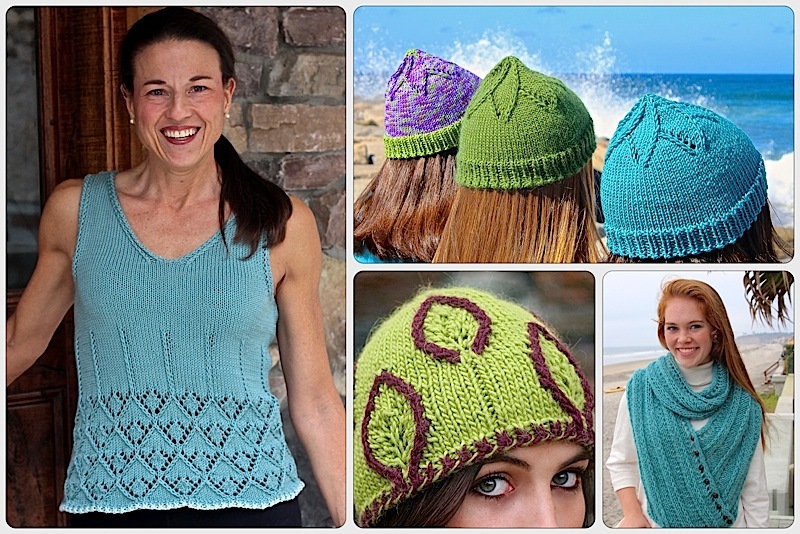 Free Download Link: Both versions of the bind off are included in the tutorial. Grab some needles and play around with it! Hello, I’m brand new to this website and am wondering if you address crocheting issues as well as knitting. My question about crocheting is this: How can I keep the edges (the right and left sides of the fabric) straight? My knitted edges are straight but my crocheted edges are bumby. Hi, I would love to help but I am not a crocheter. Sorry! This entry was posted on December 20, 2016 by Laura Cunitz in Edges, Free Downloads, Nuances.